Possibly as many as one thousand ethnic Tai Peung live in the Kham District of Xiangkhoang Province in eastern Laos. A small number of Tai Peung may spill over into neighboring Pek District. The Tai Peung live near the Tai Laan and Tai Sam. Each group holds a distinct ethnic identity and speaks different Tai languages, although no linguistic research has been done to determine what branch of Tai they belong to. Buddhism never reached the Tai Peung. Today, they remain animists with influences of ancestor worship. Every home has a small ancestral/spirit altar attached to the wall, in which incense is burned. The Tai Peung are part of the great Tai race, which stretches from southern China to northeast India. One early missionary compared the Lao and Thai peoples: "There are many very apparent differences between the two peoples for all that they are related.... I have not noted a single difference which is not in favor of the Laos, unless, indeed, it be tattooing. The Laos men tattoo their legs, and it seems to me now to be a rude and barbarous custom.... The women look both graceful and modest in their skirts, which come to the ankle, and with their long, heavy hair coiled upon their shapely heads." The Tai Peung celebrate several main festivals throughout the course of the year. The greatest is probably Phii Mai Lao (Lao Lunar New Year), which falls within the month of April. Houses are cleaned, people put on new clothes, idols are washed, and people make fresh commitments to the spirits to be good and honest people, in return for spiritual blessing and prosperity. People also throw water over each over in a symbolic bid to cleanse the past year's sins and to start the year anew. Although Laos consists of numerous ethnic groups and languages, the New Year celebrations acts as a major unifying force between peoples. The hidden corner of Laos inhabited by the Tai Peung has received virtually no Gospel witness throughout its long history. 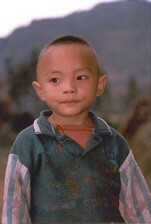 Consequently, the Tai Peung remain a completely unreached and unevangelized people group. * Pray the Tai Peung would enter into relationship with their Creator, who yearns to reveal Christ to them. * Ask God to glorify His Son among the Tai Peung. 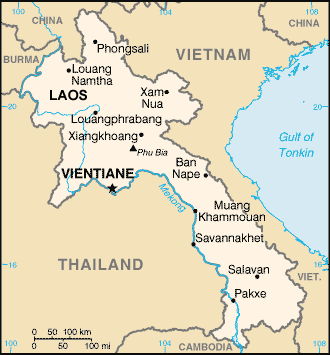 * Pray for an open path for the advance of the Gospel into this part of Laos. * Pray for Gospel messages to become available in audio format for this people group.View Tai Peung in all countries. 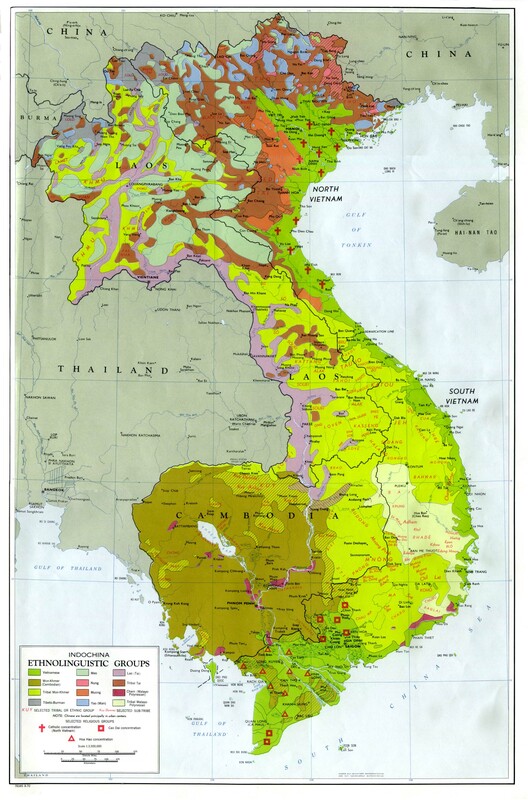 Location in Country: Xiangkhoang province, Kham and possibly Pek districts.